Two women with two completely different backgrounds: Shirma Rouse, brought up with Antilean music, gospel and soul on the island of St. Eustatius. Kim Hoorweg, who listens since her childhood days to heroes like Jaap Valkhoff, Yves Montand and Johnny Cash. Both young but experienced singers who enter into a musical cooperation on CD and in theatres. They both sing world renowned tracks from music celebrities with whom they grew up. All tracks on the CD ‘Dedicated To You’ are a re-make of the originals, resulting in a fresh sound, also because of the special arrangement by Erwin Hoorweg for percussion (Martin Verdonk), keys (Erwin Hoorweg) and bass (Boudewijn Lucas). 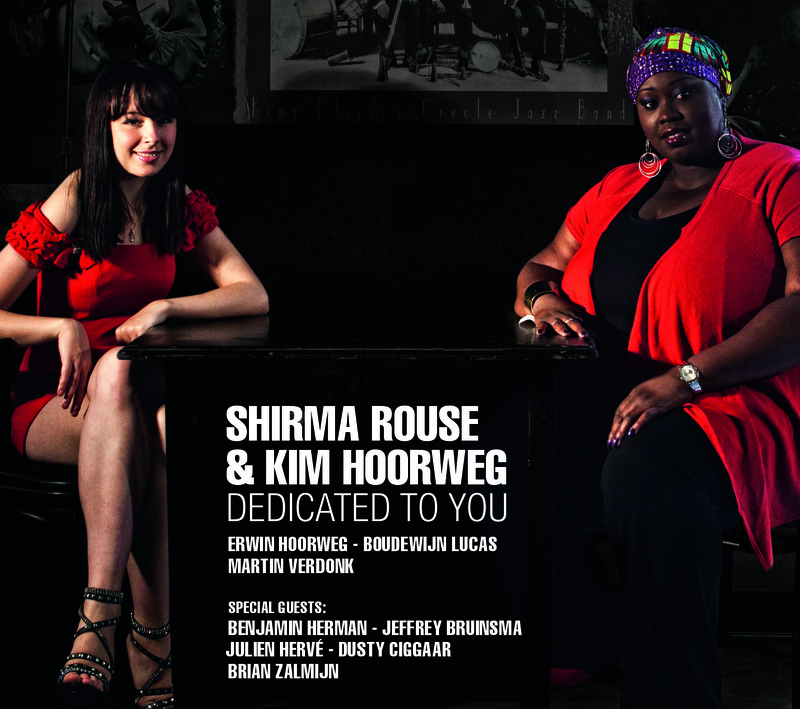 Shirma Rouse is an experienced vocalist, who worked together as a background singer with a.o. Anouk, Candy Dulfer, Trijntje Oosterhuis and Wouter Hamel. Kim Hoorweg has been working on her musical career since she was 14 years and is considered to be the Dutch Jazz vocal-talent. ""The album is full of classical music in a surprising new look, thanks to the arrangements of Erwin Hoorweg and the great sound of both women""
"The album includes standards in a suprising new way, thanks to the arrangements of Erwin Hoorweg and the delightful sound of both ladies."